The 2019 Evolution Leadership Conference will be held on October 8 at Spooky Nook in Lancaster, PA. This year, we’ll tackle the number one issue impacting American businesses right now…finding, hiring, onboarding, and retaining great talent. The conference keynote will be delivered by Verne Harnish, founder of the world-renowned Entrepreneurs’ Organization and the morning workshop will be delivered by Santiago Jaramillo, Founder and CEO of Emplify. 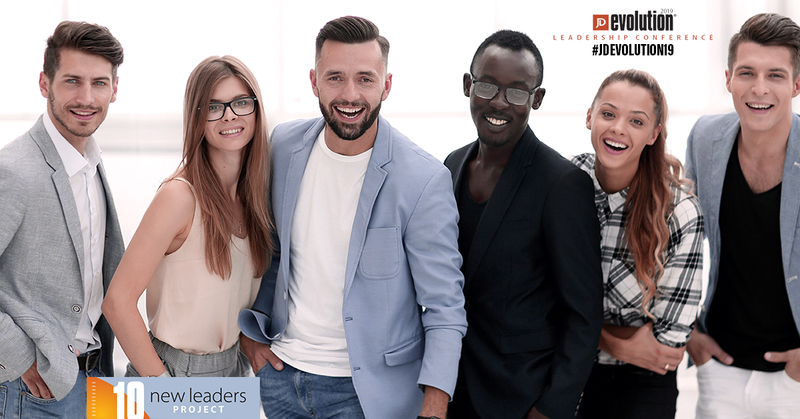 We’ll also introduce our new class of the “10 New Leaders Project.” Now in its third year, this pay-it-forward initiative gives 10 high-potential, emerging or advancing leaders the opportunity to receive more than $10,000 in leadership development programming. The past two years have been extremely successful. If you talk to any of our former recipients, they’ll tell you this program can be truly life-changing. Here are two folks who had some things to say about their experience in the 2018 class. 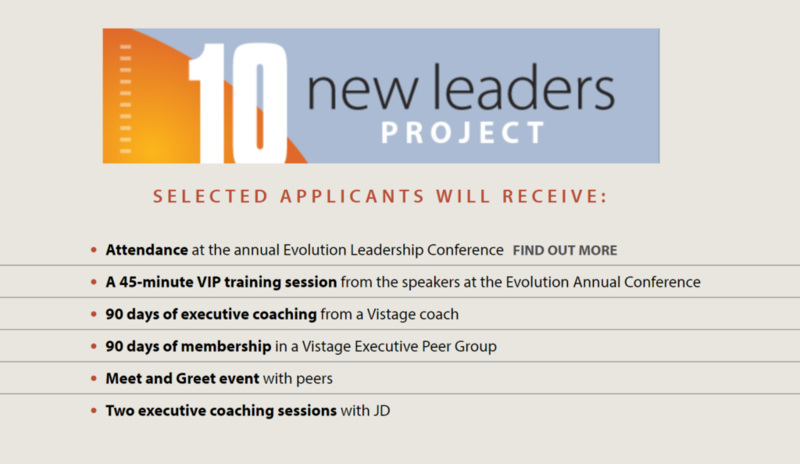 Below is a list of what each new leader will receive in the program. One common question we receive is about age. There is no age limit to benefit from this program, so I encourage applications from anyone looking to get a jump start on enhanced leadership growth. Click here to learn more and apply. Hurry! Applications are due June 3.